Zaful is an online shop which sells beautifully-designed clothes, shoes and accessories. They have a wide range of clothes selections including plus-sized, trendy and activewear. Their clothing styles differ which makes it a great online shop for fashionistas with different tastes and preferences. They have free shipping worldwide for any total amount. They also often have sales and discounts which make their products affordable. Zaful offers free shipping worldwide. At Zaful`s website, it`s stated that shipping time would be 10-25 business days for my country. The order was placed on Thursday and arrived on Saturday morning the following week. It basically arrived after about 9-10 days. I received new items with the right sizes and colors. The cat bag was covered with plastic and brown dust bag. Its handles also have plastic for protection. It also has crumpled papers inside to maintain the shape of the purse. These 5 pcs. cat rings were placed inside a small ziplock bag. The clothes that I ordered were simply covered by plastics. I don`t normally wear rings. However, I had to fill my order up to the desired budget. 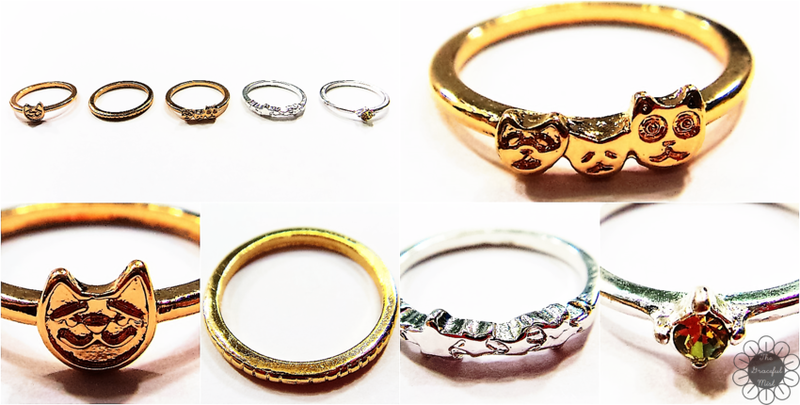 These cat rings are affordable yet very cute. 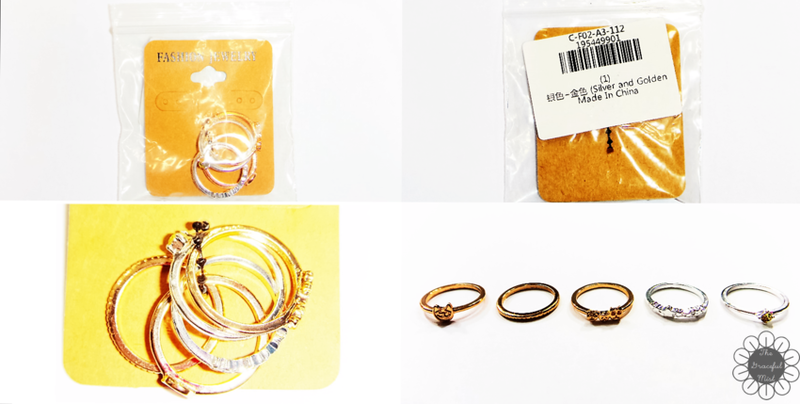 I had been wearing these rings since I got the package from Zaful. After using them for quite some time, some rings are starting to fade in color. It seems that these rings are made from hard plastic so this could be the reason their colors are fading. The Buttoned Loose Collarless Long Sleeve Cardigan fits great. Its color`s versatile and its length`s long. Its length`s goes below the bottom and can give someone the illusion of having taller height if worn properly. However, the upper button doesn`t have a hole to go through so I have to cut one for it. 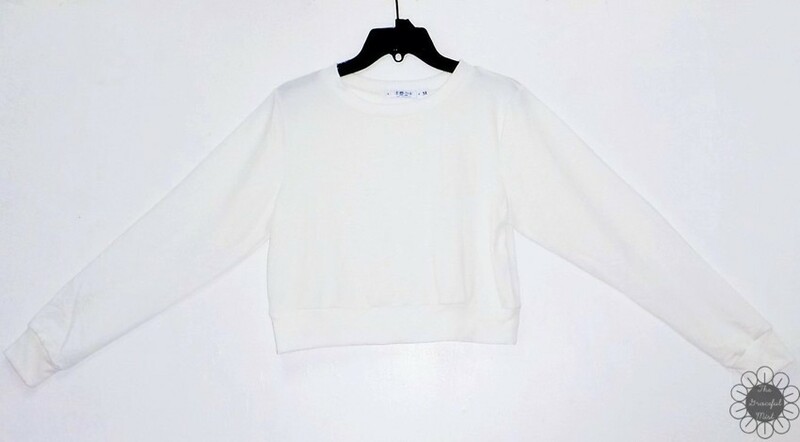 The Casual Sports Cropped Sweatshirt has a relatively soft and thin material. It ends around the waist. The material used isn`t thick compared to most sweatshirts. However, I really like it because I can wear it throughout the year regardless of the weather. I live in a tropical country so I find the thin sweatshirt to be a positive point. It`s quite shorter than expected because it ends on my waist. From the photo at Zaful`s website, it looked like it would end above the hips so that when worn with high-waisted pants, no skin will show. It fits well. The Cat-Shaped Bag is very cute yet elegant-looking. It`s quite small but its size makes it cuter. 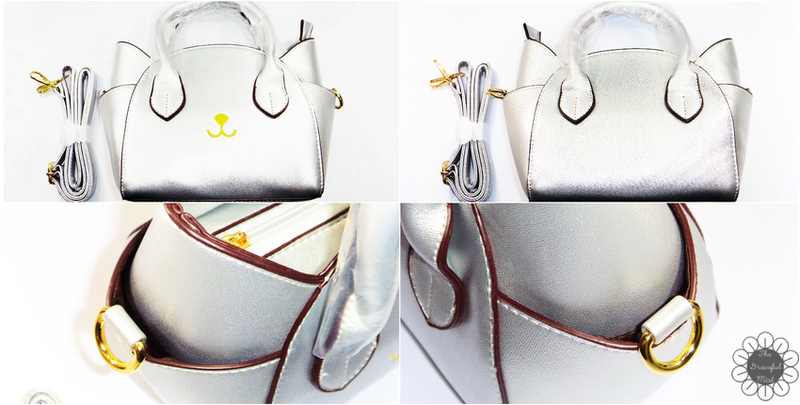 It has 2 side pockets outside and 1 silver strap so it can be carried as a shoulder bag. 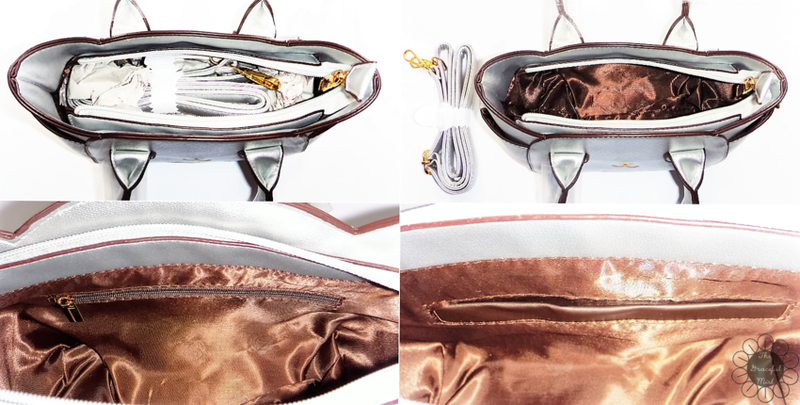 Its interior has a brown satin-like cloth, 1 open pocket and 1 pocket with zipper at the opposite side of the open pocket. I absolutely like this bag. It`s small, cute, and elegant. I showed the picture of this cat bag to my sister and she loved it as well. She liked it so much, she asked me if she could have it. It was quite difficult to let go of this because I was really wanting to have a new purse that fits my style preferences because all my bags are not in good condition anymore. However, I`ve learned that I shouldn`t attach myself to material possessions. I`ve learned to treasure people and relationships over material things. It`s difficult to be generous most especially if you don`t have a lot, however, I believe that God blesses those who shows love through generosity. If you have important questions, don`t hesitate to contact Zaful through their website in their contact page or social media accounts. Despite the comfort of online shopping, there are still factors like sizing, security of payments, returns and exchanges, and shipping and delivery that must be accounted for. Before buying, make sure you`ve all information you need to ease your concerns. All in all, Zaful is an online shopping website which sells different types and designs of accessories, clothes and bags. I found the free shipping worldwide and relatively affordable prices to be great. 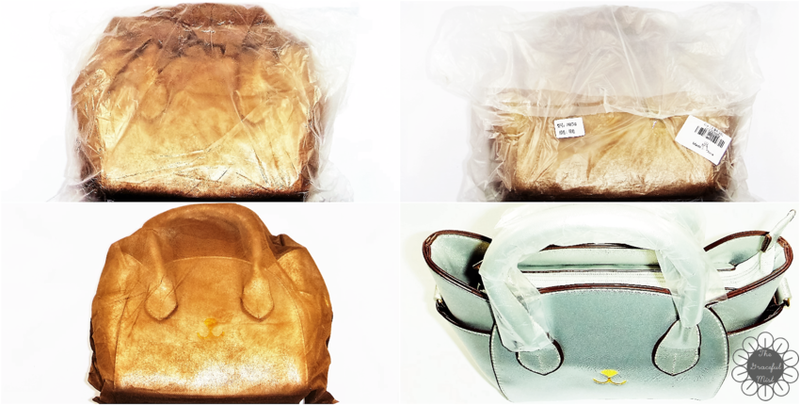 The items I ordered are relatively good but the cat-shaped bag is my favorite because of its cute and elegant design, small size and good quality. Zaful is currently having a $100 gift card giveaway. To enter, simply leave the link of your favorite product from Zaful.com and e-mail address in the comments` section below. 10 winners will be chosen for the giveaway. This will end on November 30 and the winners will be chosen on December 1-3. Disclaimer: The blogger received these items for review purposes. All opinions were written with utmost honesty. The list of winners for the giveway by Zaful can be read here: Zaful Giveaway Winners.